Detail photo of the espresso profiled Costa Rican coffee. I’ve already posted a preview of Transcend Coffee, as well as their filter coffee “Genesis” from Costa Rica. I had high expectations for this coffee, and planned to experiment with a few different profiles. I started with the usual baseline for this espresso (94 degrees Celsius, 19grams). This espresso seemed to work well at both 93 & 94 degrees Celsius. The dose seemed ideal in the 19.0 gram range, with a final liquid weight of ~31-33 grams with a total shot length of 25-26 seconds. Keep reading for details. While I found this was great at both 93 and 94 degrees Celsius, I personally found myself leaning towards the profile @ 93 degrees Celsius (best results in my personal opinion). @ 93 degrees Celsius: a delicious jam-like aroma and initial taste. Berry (blackberry), wildly fruity, great sweetness and a mango mellowness filling up the body of the espresso. Also had slight hints of cocoa and tobacco on the finish. 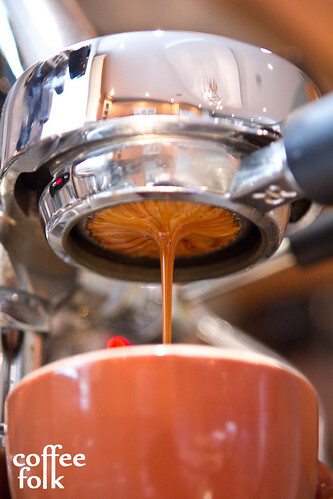 Bottomless photo of espresso extraction. @ 94 degrees Celsius: also quite jam-like, but with more chocolate and cocoa present in the taste profile. Still some mango in the body and an almond/ amaretto sweetness. I was able to highlight more chocolate and cocoa with a lower dose as well (<18.5 grams) but it was not as sweet as at 19 grams. I found that doses higher than 19.5 grams were counter-productive and muted everything in this coffee – instead it became indistinguishable and sweet. Not only was this a delicious espresso, it was relatively easy to work with and pull. I could see this working in a cafe setting. Pulling ~19.0 – 19.5 grams solid to 32.0 – 33.0 grams liquid and adding ~100 grams of milk (~6oz total volume cappuccino), the dominate flavour was a fantastic honey flavour. I also found some milk chocolate and a little pear coming through. At a higher temperature espresso (94 degrees Celsius) I found more chocolate, malty components and less sweetness. This was a highly versatile coffee. I personally favoured 19 gram dose with a lower temperature highlighting the berry components and jam-like qualities with a juicy mango thing going on. I was struck by the cocoa tobacco components, in addition, offering a wonderful complexity. Final score for this coffee… 92/ 100. I’ve had a lot of Costa Rican coffees in the past year, but this one certainly sits in the top few. Total 100 point score of 92/100. 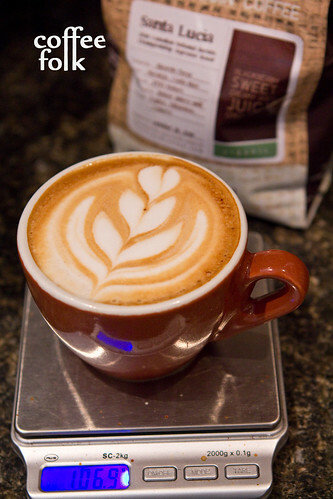 I’ve already posted a preview of Transcend Coffee. If you haven’t read that already, you should check that out. 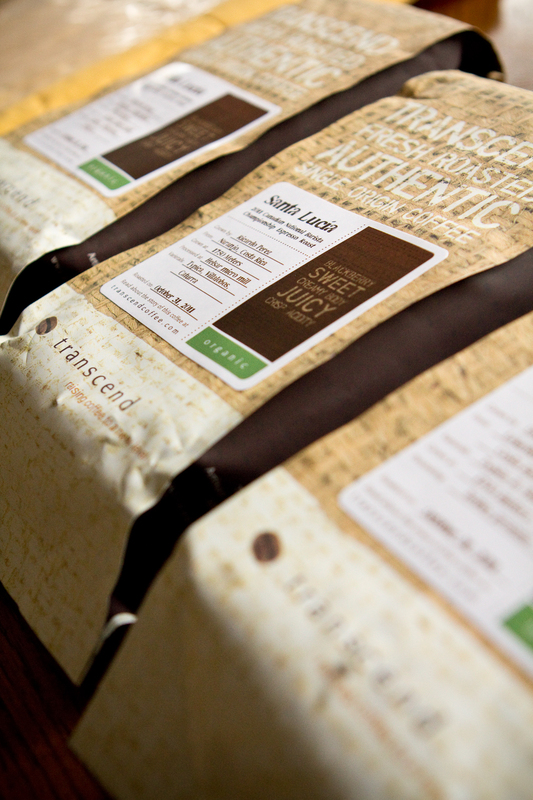 In a nutshell, I received two Costa Rican coffees from Transcend; James @transcendcoffee hooked me up. One was profiled for filter coffee named “Genesis” and the other was profiled for espresso called “Santa Lucia” (which I will post at a later date). To make sure it’s clear, these are two different lots of coffee from different farms. Brewed with 19grams of coffee and 340mL water via a Clever Dripper device. The first few coffees I prepared were pour overs. This was a nice clean cup, good mouthfeel (though slightly thin), wine-y and mellow pear. The acidity structure was not as nice here as I expected, better on the french press (read on). Notes included: the aroma on this was delicious, spice and apples. Main body was that mellow pear/ melon. Clean finish. Brewed with 26grams of coffee via Frieling. The biggest surprise here was the change in the acidity structure. I found a nice sparkling acidity here, which was snappy and citrus-like. I found more spice and cinnamon present as well. It was still relatively clean and it cooled a little better. Clever Dripper with Costa Rica "Genesis"
The overall cup was well balanced, great acidity, with a good nose and mellow, but sweet, main body. I’m including +3 cuppers points (for cooling well and overall balance) thus pushing it to a high 90 points. The last few posts have talked a little about the Canadian Barista Championships this year. So, without further delay, I had to get a hold of some Transcend Coffee, they held down the first and second place spots! After some dialogue with James @transcendcoffee, I received three bags of coffee: Two of the “Santa Lucia” espresso and one of the “Genesis” filter coffee (both from Costa Rica). Here is a quick overview, the video is short I promise! Stay tuned for the full detail!